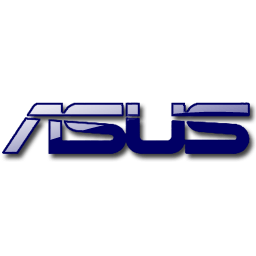 Save up to four custom user profiles in the 1-4 buttons, or choose between ASUS engineered presets of Power Saving (S) and Gaming (G) modes. Using the Live Update function, you can automatically check and update drivers and graphics BIOS. This keeps the card up to date to maximize performance. GPU Tweak user options. Use the tabs to scroll through the separate features. Select the display priority for the main GPU Tweak tuning options. The keyboard and mouse sensitivity adjusts how far the +/- buttons or scroll wheel jumps the numeric values (mV / MHz / % etc). You can select the main tweaking options on display by simply dragging and dropping to adjust the order. Select a program .exe to be automatically launched when the benchmark button is clicked. Tweak what Live Update does; whether it automatically updates everything, applies urgent updates only or simply notifies that new updates are available. You can change the frequency at which Live Update checks the server between daily, weekly or monthly. Define preferred hotkeys for application or GPU overclocking functions. In collaboration with TechPowerUp’s GPU-Z, see the detailed specifications and current status of the graphics card(s). The monitoring panel displays your graphics card’s real-time status, such as GPU temperature, GPU usage, GPU clock speed and voltages. The panels can be manually reordered or customized to either show more or fewer graphs. New Function: Add anchor in OSD position setting section for easier position setting. New Function: OSD now support Unigine Heaven and Unigine Valley benchmark. Fix: OSD stability issue when playing DOTA2. Support GeForce RTX 20 series only.